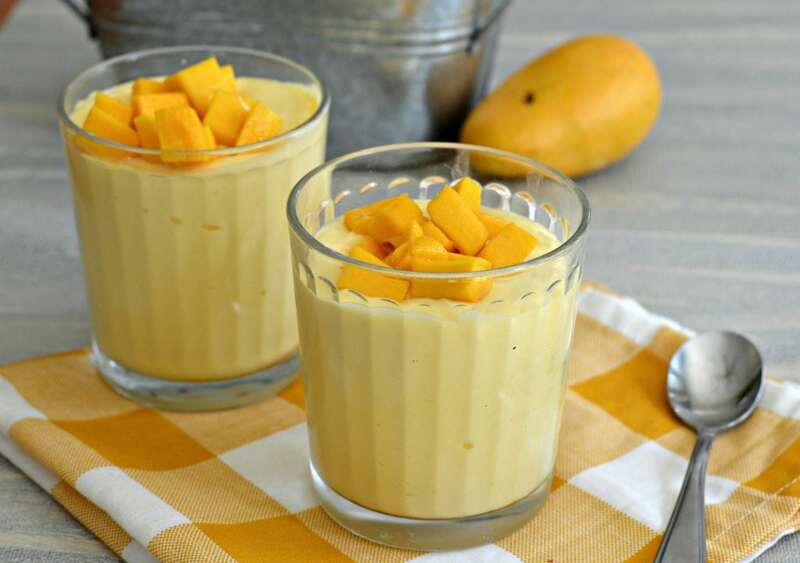 Creamy Mango Mousse is a perfect choice for an after school snack. 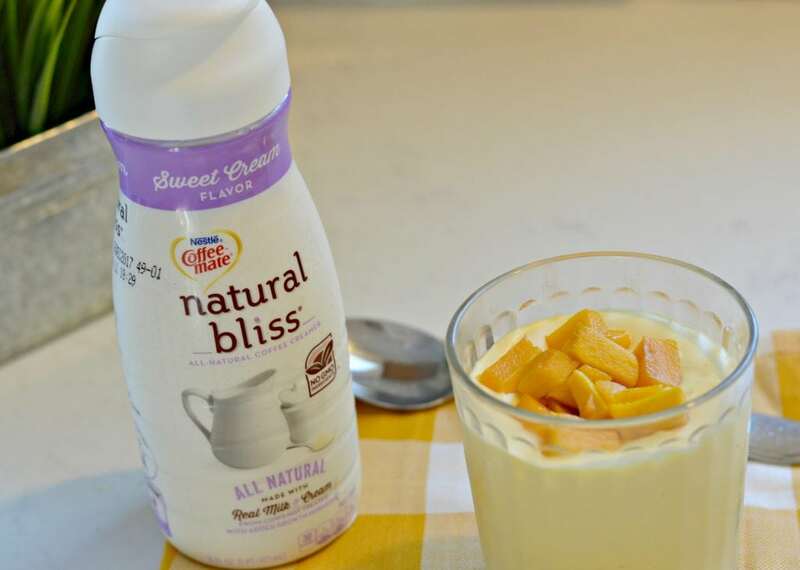 Full of flavor, creamy, and the perfect amount of sweetness to keep your kids happy. If you have been following my site for awhile, you probably know that I love mangoes! I grew up on a large ranch in Mexico and there were Mango trees all over the place. I always loved going out with my siblings and cousins to pick mangoes. Of course we had to eat some on our way home. Those are some of my favorite memories from growing up. 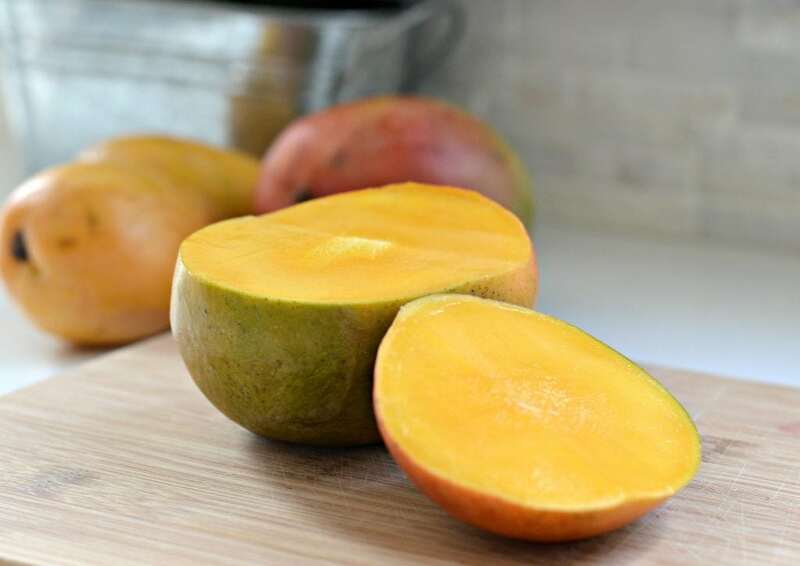 We didn’t only go out on the weekends to pick mangoes – we also would stop on the way home from school so that we could have a delicious after school snack. Now that I am a mom with two little boys in school this year, I always like to make sure that they have some delicious snacks to eat when they get home as well. The after school snack that I am sharing today is my way of sharing a little bit of my childhood with them. 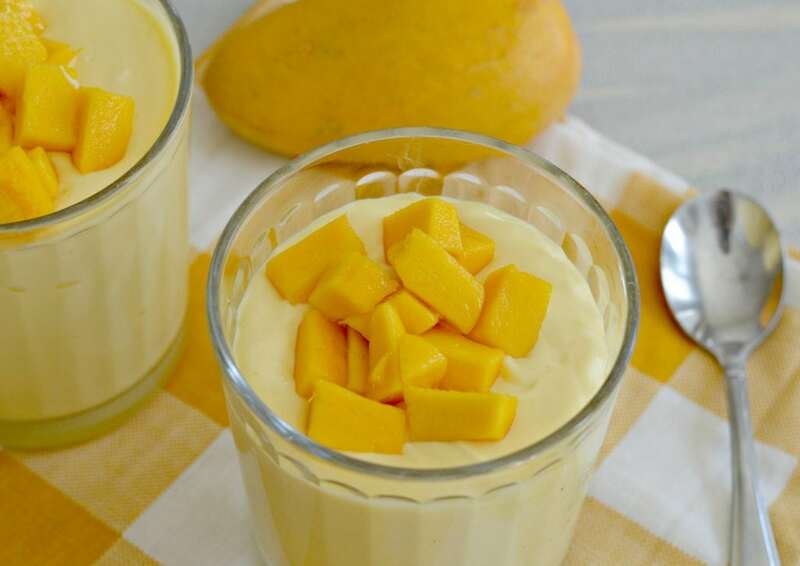 This creamy mango mousse is so easy to make, it is delicious, and the kids love it! One of the secrets to this recipe is to use Nestlé Coffee-mate® Natural Bliss® Sweet Cream liquid coffee creamer. It is a perfect way to add an extra touch of creaminess. Coffee-mate Natural Bliss is made with milk, cream, pure cane sugar, and natural flavoring. I used it for the first time in this recipe and I am glad that I did! 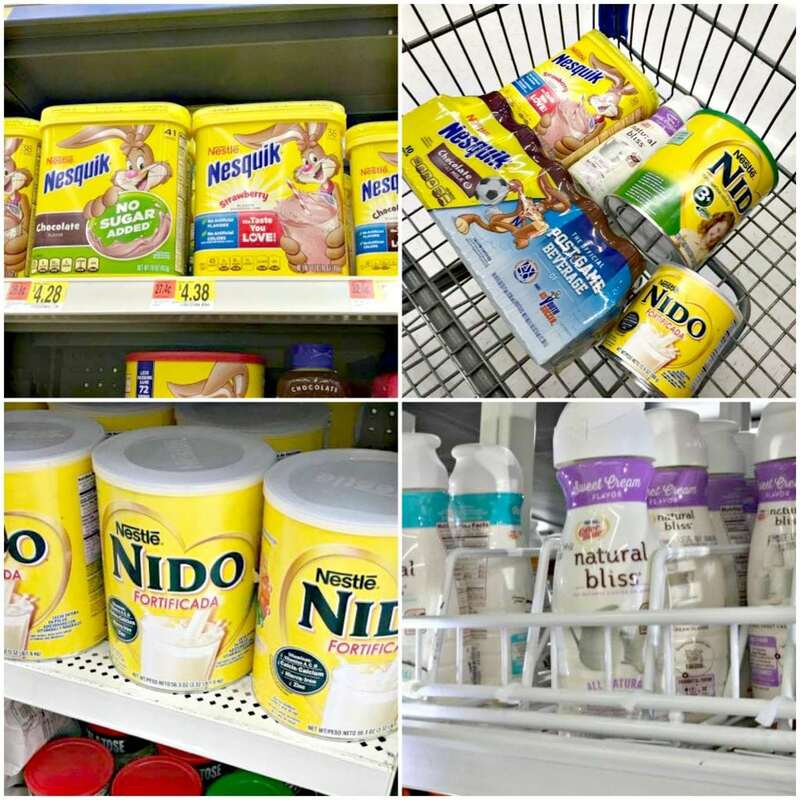 You can buy it at your local Walmart along with other great products from the Nestlé’s Back to School Product Shelf, which you can check out here. 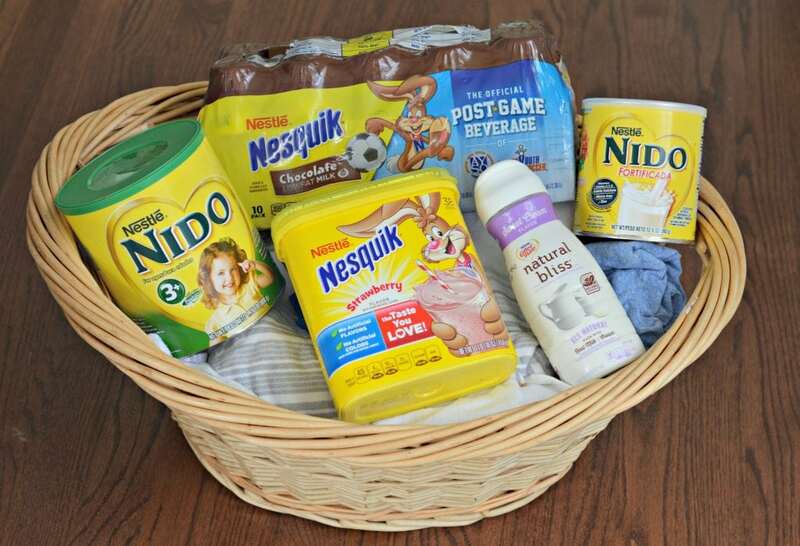 Whenever the school year starts, I like to stock up on Nestlé products. There is something for all of my kids, which makes me a happy mommy. 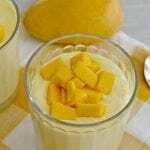 When I made this creamy mango mousse recipe for the first time, my husband and my kids absolutely loved it. The creamy texture is perfect and adding fresh mangoes on top is a nice touch. I hope that you enjoy this as much as my family and I did. Let me know in the comments below how it turned out! Dissolve the gelatin in a cup with the water and let it stand until it solidifies (around 5 minutes), then put in the microwave for 30 seconds until it returns to a liquid state. 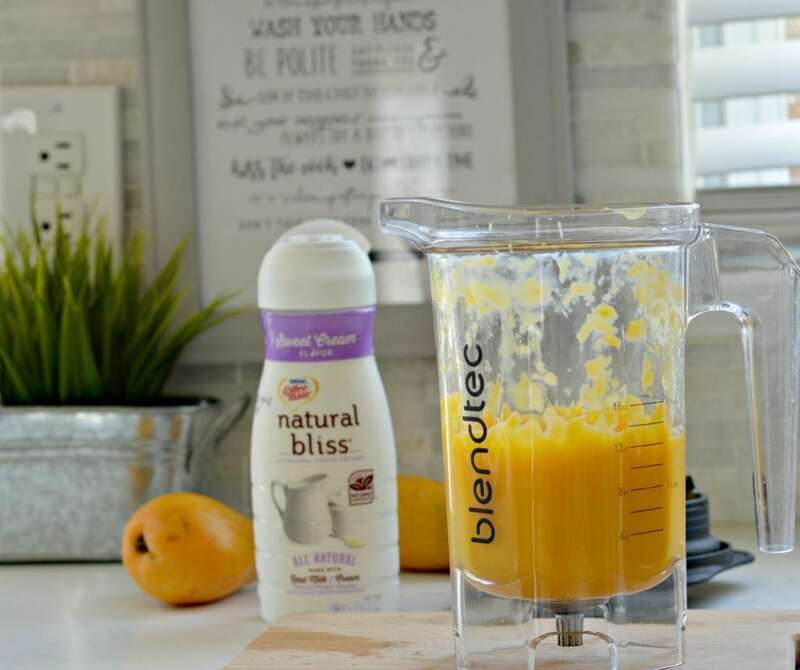 Add the mango pulp, the Nestlé Coffee-mate® Natural Bliss® Sweet Cream, 4 tablespoons of sugar, and the gelatin mixture from above to a blender and mix until smooth. Add the heavy whipping cream to a mixer with the sugar and begin to whip. Stop whipping before soft peaks forms. 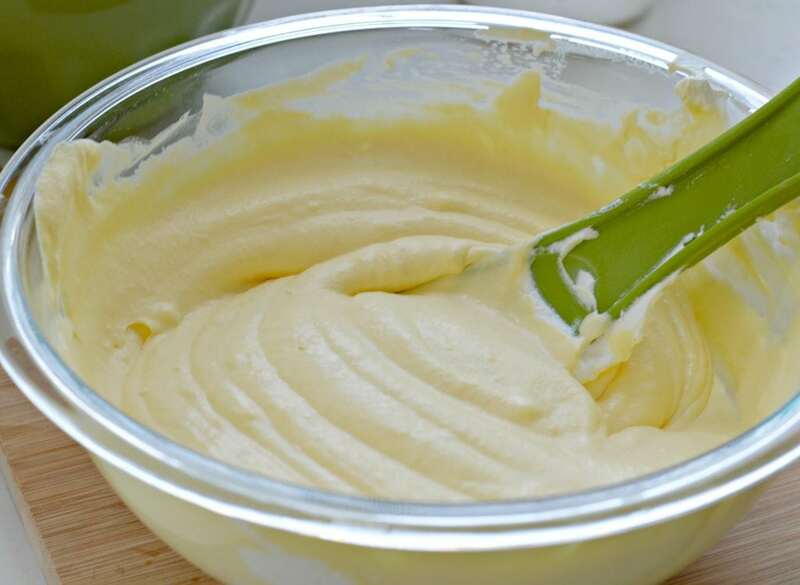 Add the mango mixture with the whipping cream mixture and mix well. Add to a dessert dish and let chill for at least one hour. This should make about 4 servings of the size cup that you see in the post. It will make more servings if you use smaller cups though. Good luck! Hi! From where I live.. Nestle Cofeemate comes in powder form more like (milk powder) texture never liquid! Any suggestions please? Thanks. Hi Maria – I would suggest increasing heavy whipping cream to 1 cup, and just omitting the Coffeemate if it is not available in liquid form. It shouldn’t make too much of a difference. Good luck!